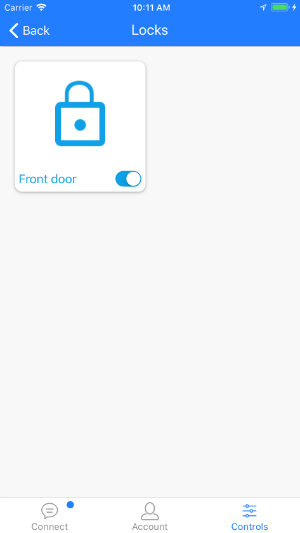 To view logs for the lock of your unit, navigate to the Controls section of the Homebase Resident App. 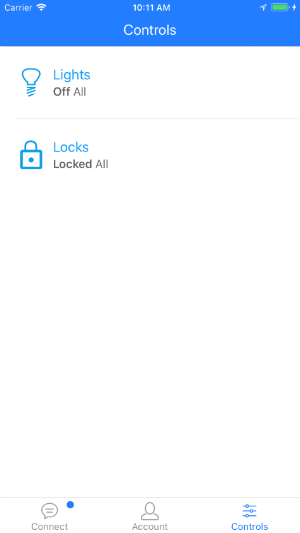 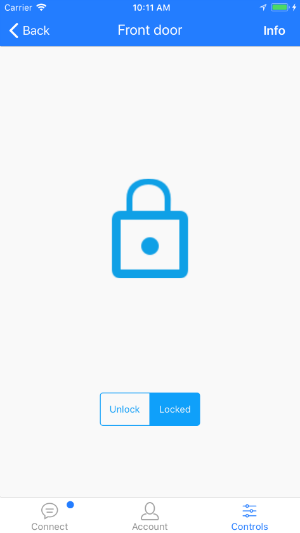 Tap the lock in question and hit the Info option. 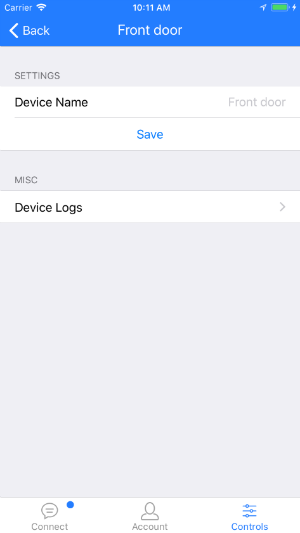 From here tap the Device Logs option. 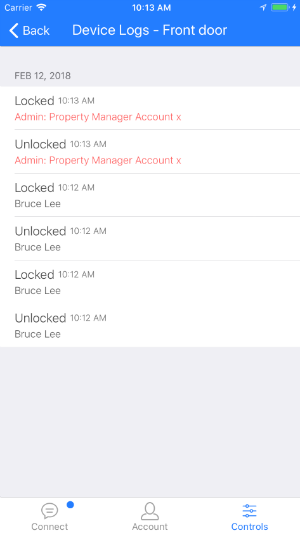 Check the logs to see everyone who has locked or unlocked the door.